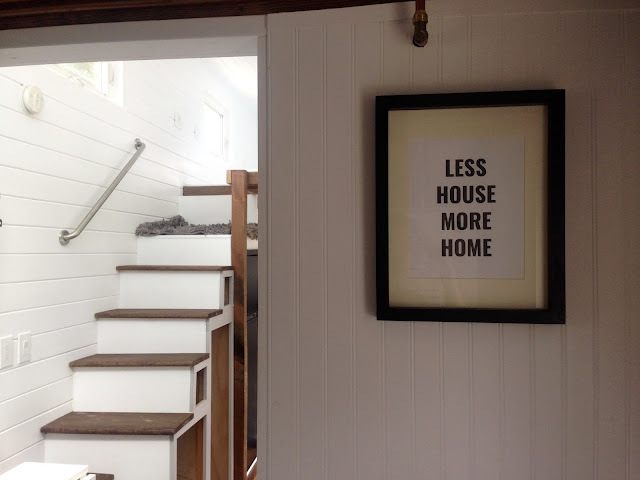 Check out this tiny house that's as beautiful as it is functional! This 24' tiny home was built by Mitchcraft Tiny Homes as a shell in August of last year, and finished by its current owners with no detail overseen. The home's kitchen comes outfitted with a 7.5 cu Norcold NXA841 3-way fridge/freezer combo, a full sized LP gas oven with a stainless hood, a microwave, farm-house sink, 26-gallon water tank, butcher block counter tops and plenty of storage cupboards. For dining, there's a drop-down bar that allows for both indoor and outdoor dining along a 6' window space! The living room features a cozy sofa made from reclaimed pallets, a flatscreen TV mount, and a folding table. Right next to the living room is the home's bathroom which comes outfitted with a 4' tiled shower, composting toilet, a large sink with a vanity, an LG washer/dryer combination, and plenty of shelf storage for personal items! Up towards the master loft, accessible by a staircase, you'll find a comfortable space with enough room to fit a king-sized mattress. There's also plenty of room for storage and three windows. There's also a second loft on the other side of the home, accessible by ladder, which features a skylight to enjoy a view of the stars at night! 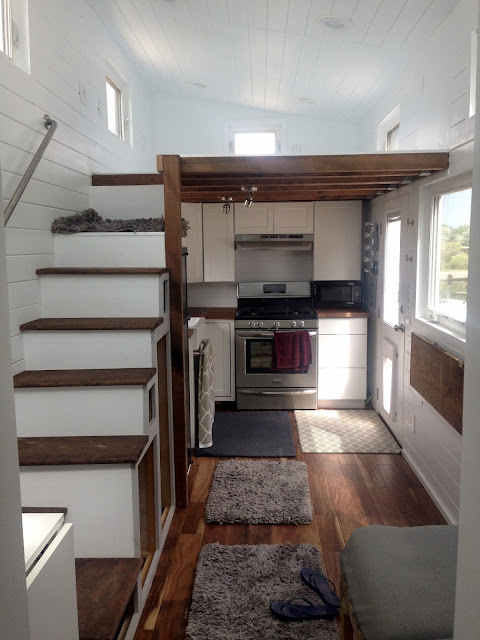 For more info on this gorgeous tiny home, you can email the home's owner at this email address: laurahalpin11 [at] hotmail[dot] com. Home is available in Fort Collins, Colorado!